If your merchant account is with Stripe.com, we will need this information to connect your registration page to your merchant account. First, login to your account and go to your Account Settings screen. 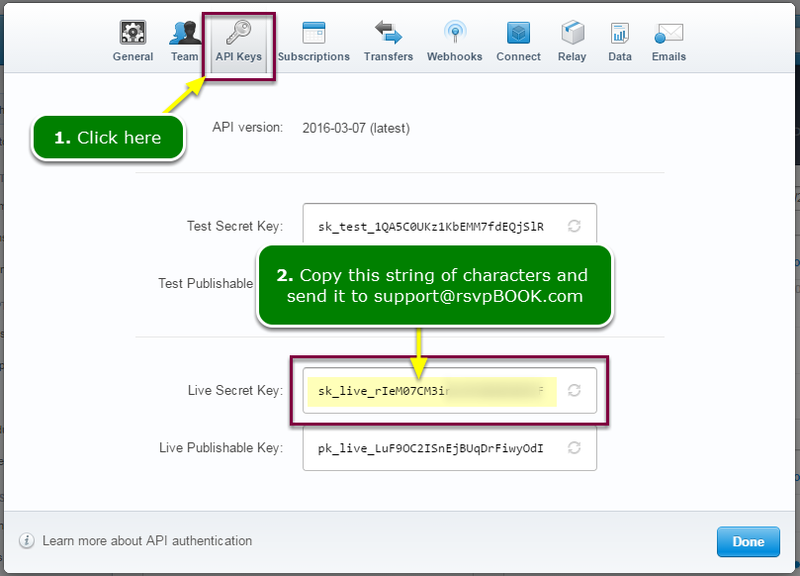 When you send the API Key to support@rsvpBOOK.com, do not include any other information in the body of the email message. We know what this character string is and we know where it goes.